Interesting, I'll definitely check out your patch when you finish it. 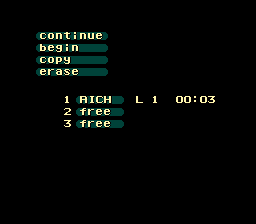 I do plan on adding a font and text editor to the editor I'm working on. Here is another small update on the map viewer. I optimized the algorithm for loading the map and tile sets by about 4-5 times faster. On my good pc it's all loading at about 0-31 milliseconds and on my average pc it's loading at about 11-37 milliseconds. I still have 2 other things to do to optimize the code for loading the map and tile sets faster. 1. I'm creating a qimage then converting it to a qpixmap and that eats up a lot of time. Instead of creating a qimage I'm going to write the image data as a windows bitmap image then load that as a qpixmap. That will definitely speed things up a little bit. 2. I will make the map and tile set viewers about half the current size and that should also add a nice speed boost. 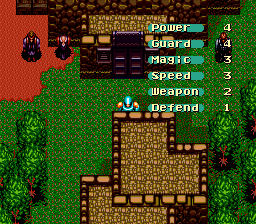 Everything is fast enough right now but I want the code to be a little faster because I might end up adding extra background layer, animations, and I want very fast updating of the tiles when things are edited. I added all of the town and dungeon maps but it's still not loading all of the correct sizes for the maps and tile sets yet. The maps do have a x/y size in the rom but the tile sets do not have a set size. I think the tile sets just have a maximum size of 0x7FF tiles per set but all of them are not that big. Here is a download for the newest update for the editor. This update the screen is larger than 1080p but after this update I should have everything to where it fits inside of a 1080p screen. I think the only main map left to add is the world map. There is a milliseconds timer to test how fast it loads the tile sets on everyones pc but I'm not sure how accurate it is. This forum motivated me to make a patch fixing the lower case errors in the shops, character intros where Lemele meets each one, and start menu screens. Also it makes use of the unused icons in the game to symbolize gems, bottles, runes, and keys. This should help make item navigation easier. It's in the queue now but hopefully should be readily available soon. 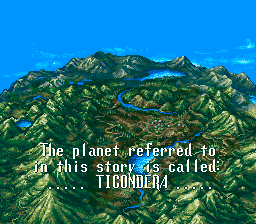 Also i didn't realize the Final Fantasy 6 font had shading and it works out real nice here! When your playing a game like this where you are looking at font for the most part it is a lot better on the eyes than the thin lettering that is used by default. Can you post before and after pictures so we can compare the original and new font? I actually like the original font but I don't like the spacing of the letters for some of the words. If I end up changing the menus from sprites to a background layer then I'll probably incorporate a vwf to fix the spacing between letters. Here is a pic showing the original battle menu. And here is a pic showing a mockup of what I would like the vwf to look like. It's not a huge difference but I think it does slightly improve the looks of the text if a vwf was incorporated. Even though I have seen them in the decompressed graphics I didn't realize the icons for gems, bottles, runes, and keys were unused. I'm definitely interested in seeing some pics using these. I know how to add extra spaces for the text so if that's something that could help for adding the unused icons let me know. It's actually very easy to VWF the sprites they use now, the only problem is that all the letters have that stupid BG on them as well so it's a no-go unless the BG of the letters gets drawn as a separate sprite layer.. which is more lag so that's a no go. 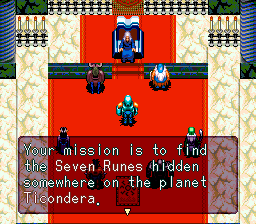 We'd definitely have to go the way of dropping Mode 7 entirely and implementing everything as BG3 for it to work with far less lag and be more efficient. 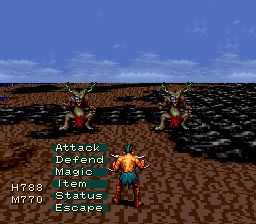 Though it does remove the cool effect of the battle backgrounds..which would also mean there'd have to be custom backgrounds and tile maps entirely set for every battle screen instance which is a lot of work. Can you post before and after pictures so we can compare the original and new font? I think it's mainly because the letters aren't behind a flat color block like in most games but it's much easier on the eyes in my opinion. 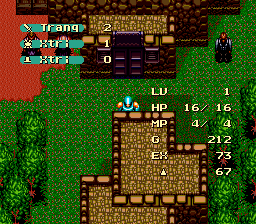 For the images that show the stats values I think the ff3 numbers look better than 7th sagas numbers. The 7th sagas letters I think look better than ff3's letters but that's probably because of the background color of the font. 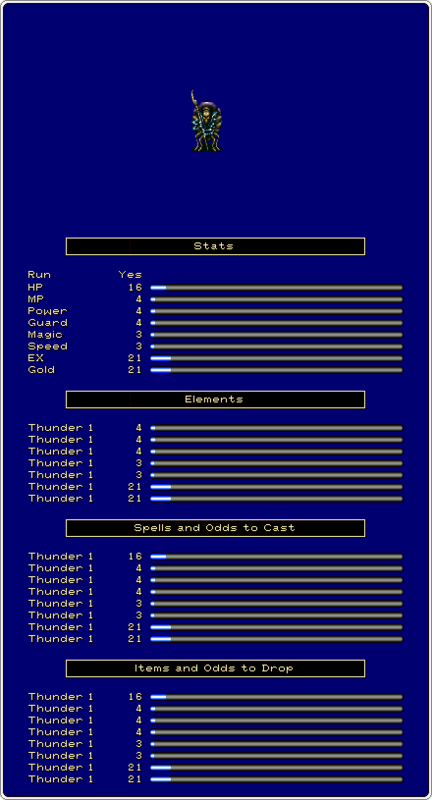 Any chance you can make a image showing the stats with the ff3 font without that background color on them? mrrichard, you may want to delete some of your messages or change your e-mail settings on this forum. I tried sending you a personal message (about a rom hack translation we were working on) and got an error. Thanks. 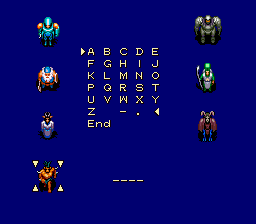 I created a patch for choosing lower case letters when you select your name in 7th saga. 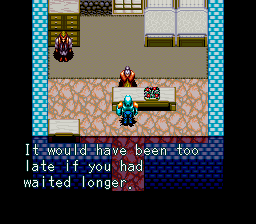 There is no readme with the patch just use a original headerless 7th saga rom. You can ether press the new symbol in the lower right hand corner or press the y button on your controller to change upper/lower case. About a year ago mrrichard999 ask if it was possible to create a lower case hack and I liked the idea so I finally decided to write the code for it. I still need to optimize the new asm code that I wrote so its a little smaller. The patch should work without any bugs but I still haven't played the whole game using the patch. 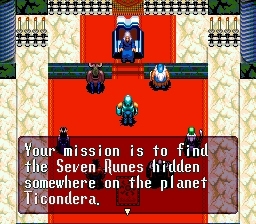 Over the next couple of days I will be releasing a couple other small patches for 7th saga that I have been working on. I still don't have any updates for my 7th saga level editor but the project is still slowly being worked on. 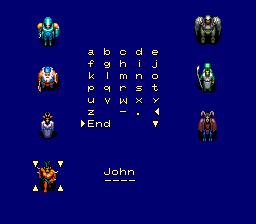 Ah yes, John the Alien. Glad to see this game is still getting worked on. Just a mini heads-up if wanted. It looks like the people you name (And even join you) can have up to 7 letters a name (Maybe even more if moved just a tad over in RAM). 7E:04D8 is where your name begins. 7E:04E0 is where your partner's name begins. It follows this same pattern in SRAM as well. It only gets limited to five probably due to text restraints but it looks like F7 is the 'end byte' for a character name in RAM. Using that, you can technically have 7 letters for a name. Yes I believe it is possible to add 7 letters or maybe more. I was thinking about adding extra letters but I wasn’t sure if I wanted to. I guess maybe I should try to add the extra letters because 5 letters really isn’t enough. I’ll look into adding the extra letters later today. F7 is the end byte for all text. I actually added one extra letter to the experience points in my level 99 hack. The experience points originally uses 7 letters but I made it to where it uses 8. The level 99 hack I might release as my next patch but I’m still deciding if I should use the extra 8th letter for up to 0xffffff (16777215) experience points or leave the cap at 0x98967f (9999999) experience points. If I leave the experience at 7 letters I’ll have to set new values for all level ups so you can reach level 99 or if I use 8 letters I might only have to add level 81-99 but having 8 letters caps experience at 16777215 which is a odd number to have. What do y’all think? Leave experience cap at 9999999 and have all new values for level ups or set the new cap at 16777215 so all or most original level up values stay the same. I'm kinda leaning towards keeping the cap at 9999999 and set new values for the level ups. I would keep the cap at 9,999,999. There is honestly no reason to even go above that if proper number balancing is done. That’s what I was thinking too. I’ll keep it at 9,999,999. The hardest part about making the level 99 hack complete is going to be figuring out the proper balance for how much experience to gain for each level. I’m probably going to have to write a small editor to edit the experience points needed to gain each level. 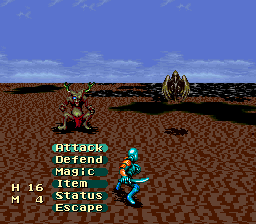 Maybe I’ll also include a enemy stat editor just in case the experience gain from enemies needs to be edited as well for a good balance. What does everyone think about how you acquire gold from the amount of experience points you get. I really don’t like that you get gold like that from enemies. I think gold should have its own value in the enemy stat file. Gold doesn't have it's own stat there? That's.. interesting actually I had no idea. I'd recommend splitting that for sure. Pretty much every game does that so you can do specifics all around. I actually had that backwards, its experience that doesn't have its on stat data and gold does. 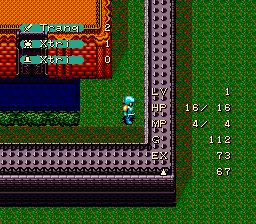 This will be a easy hack to make but I'm going to have to temporarily relocate the enemy stat table file. There's plenty of room to move things so I'd go for it and just keep it out somewhere for further expansion if needed. I haven't had the chance to finish the other patches but I am curranty working on them while I have the time. 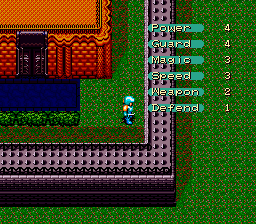 7th saga improvement hack I'm going to call the rom 7th Saga, The(U)[!][J].sfc. saga stuff in it. So yea I need more posters for my 7th saga collection. find. I have only found one but I was too late in being able to buy it. Image for the enix guide book is large so I made a url. Also I'm looking to get all magazines that have 7th saga ads in them. Does anyone know what magazines have the 7th saga ads in them? A digital guide made as an .exe? That's ridiculous, I can hear the AV alarms ringing just thinking about this, it should be made in PDF format. Does J stand for John?